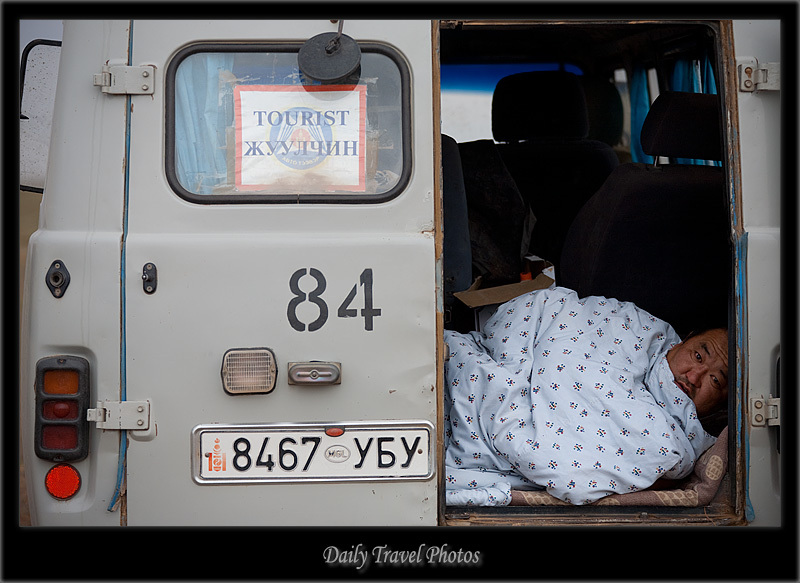 My Gobi dessert tour driver's sleeping accommodation is the emptied back of our versatile Jaman Yos, a Soviet era tank of a van. I suppose his startled reaction is normal for anyone awoken by a 70-200mm lens pointing at his face. 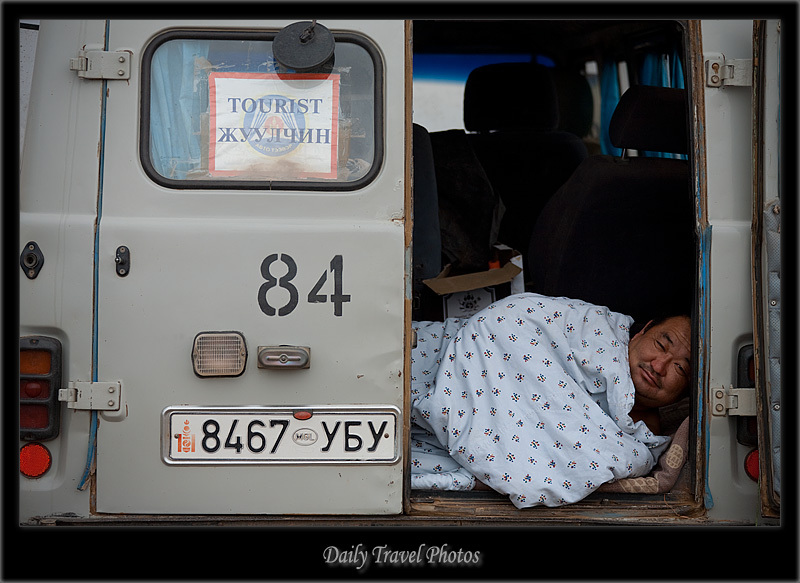 Luckily he's one of the kindest Mongolians I've met and he didn't want to tear my heart out for the rude awakening.